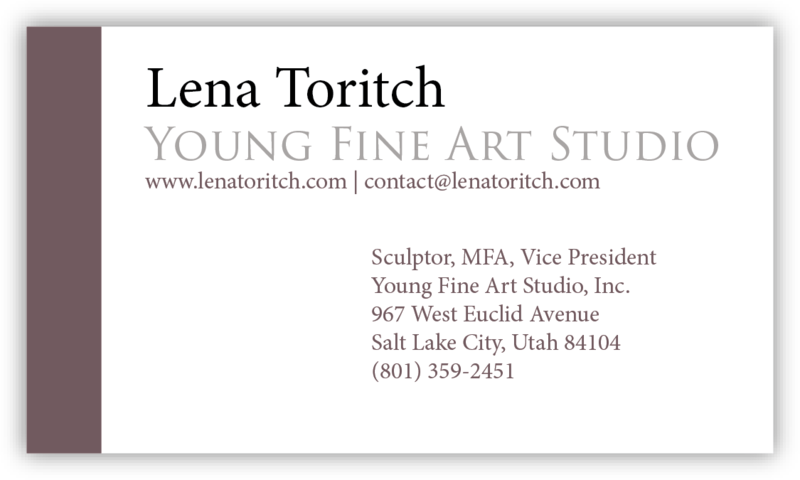 Lena is a master sculptor who specializes in custom bronze statues. We wrote three custom WordPress plugins to facilitate the desired design and functionality of Her website. Many of photographs on the site were taken by MonSalon. MonSalon also performed some SEO work ensuring Lena’s website ranks in the top of goole’s search results. We are also providing technical support and photoshop services to Lena. 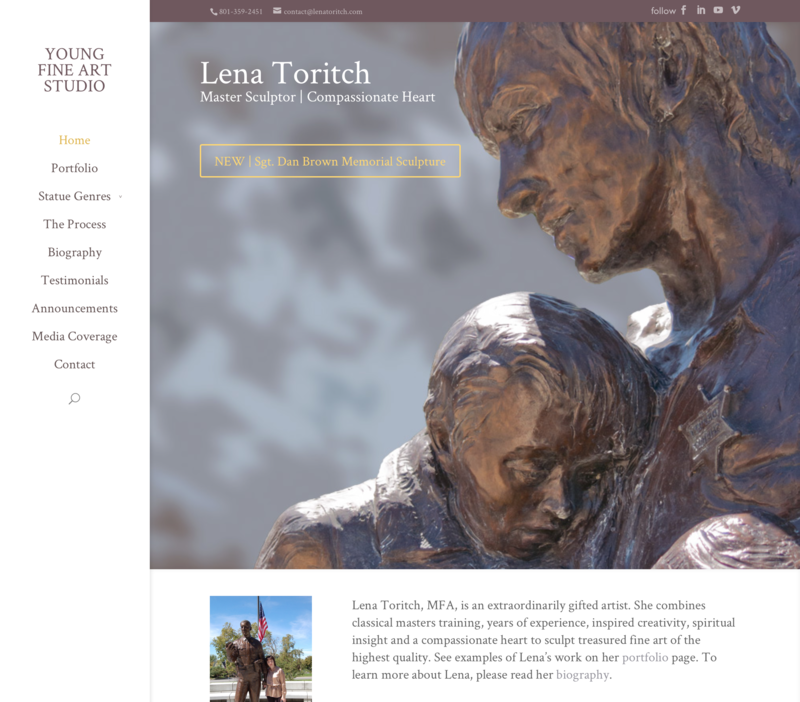 If you have a moment, please visit her new site at lenatoritch.com. Copy for the website was written by Shelly Osterloh..
MonSalon.org quickly designed business cards to match our clients website and had the cards printed on short notice.